Furries are so much fun to draw, people have been doing so for thousands of years. By crossing animal traits with human, you can create some fantastic characters with distinct personalities. Loaded with more than 50 step-by-step demonstrations for a variety of characters from furries to mythological creatures. Extended demonstration shows how to build a scene from initial concept drawings and character development to a final colored scene. See a variety of different styles of art from guest artists who share their processes for creating lively characters. 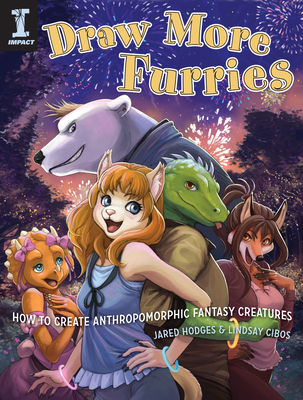 Lindsay Cibos and Jared Hodges are the authors of IMPACT's Draw Furries. They are the creators of the graphic novel series Peach Fuzz (Tokyopop), which has been published internationally and syndicated in newspapers.